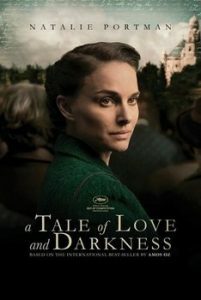 Plot Summary: Based on the autobiography of the same name by Amos Oz, A Tale of Love and Darkness looks at the initial years of Independent Jerusalem, the civil war in Palestine, and a child’s observation of his mother’s struggling mental health. Natalie plays Fania, Amos’s mother; she, of course, also directed the film and adapted Oz’s story into a screenplay. -Pre-production took around eight years, as Natalie insisted that the film were to be with its featured dialogue entirely in Hebrew.